This little village is a true “hidden gem”. At Ireland and Scotland Luxury Tours we love the reaction of our guests when we take them to “Quin”. Quin is famous for its well-preserved Franciscan Friary. This was established in 1443 on the remains of an Anglo-Norman castle. It has virtually a complete church with a high altar, cloisters, and a tower. From the top of the friary tower you can see a number of castles. One of these castles is Danganbrack Castle. This is a tall tower from the 16th century. There is also Saint Finghins Church on the opposite side of the river. 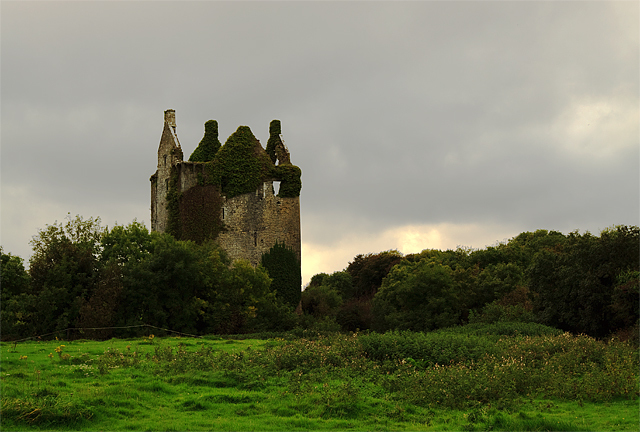 Knappogue Castle (now made famous by the whiskey with the same name) is also nearby. This is a very impressive fortress built in 1467. It was built by the MacNamara family and remained in their hands until 1815. The castle has been fully restored. Don’t miss Quin on your tours of Ireland!